Smoking changes the organism (of course, worse) from head to toe. In the following lines, we explain how, point by point. In this sense, recognizing that tobacco is a problem is the initial step; Now everything must revolve around this purpose. Remember that it is an important step that you are initiating. Your life changes because tobacco becomes a difficult habit to let take over your mind. But it is past, it is time to act in the present. Keep reading and learn about the effects of smoking on your body. Smoking causes one of the strongest addictions that exist; This is because the brain changes. More and more nicotine receptors are being created, so this substance is needed more and more. Thus, when it is absent, the withdrawal syndrome appears, with anxiety, irritability and a strong need to smoke. You could Prevent Dementia by quitting smoking. Tobacco generates a lack of irrigation in the cochlea (the main auditory organ), with which hearing decreases. In addition, it increases the risk of blindness due to cataract and macular degeneration. It also generates bad night vision, to prevent the production of a necessary substance for it. Promotes, also, diseases of the mouth, such as sores and ulcers. In this sense, dental problems appear (decay, loss of dentition). The skin dries and loses elasticity, and wrinkles and stretch marks appear. The tone becomes dull and grayish, ultimately taking on the appearance of older age. Increase blood pressure, to begin with. Thus, the heart is forced to pump the blood more strongly, thereby weakening it. It also produces vasoconstriction, with which nutrients, minerals, and oxygen reach the cells less. The blood becomes thick and slimy, making it even more difficult for the heart to mobilize. Because of this, it also acquires a tendency to form clots and damages the innermost layer of the blood vessels. Finally, it increases the amount of cholesterol and unhealthy fat that circulates in the blood, accumulating in the vessels. Taken together, the above factors produce an increased risk of heart attacks, strokes, and thrombosis. 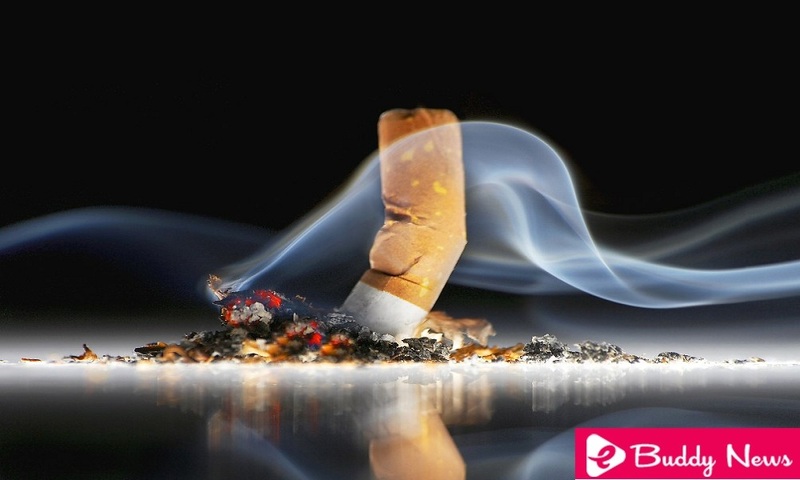 Immediately, the carbon monoxide contained in cigarettes decreases the arrival of oxygen to the tissues. In the long term, it gives rise to systemic effects. The airways and lung tissue become inflamed, generating a sensation of shortness of breath and wheezing (beeps when breathing). Scar tissue is also produced, which makes breathing difficult. Also, the alveoli (the end of the airway, where oxygen is absorbed) are destroyed, a condition is known as emphysema, and intense respiratory distress is generated. The cilia of the respiratory tract (which in normal conditions eliminate mucus and waste) are paralyzed and destroyed. This increases the predisposition to suffer respiratory infections. This also produces a chronic cough with mucous expectoration. DNA is found in all cells and could be said to contain instructions for cell growth and functioning. Each puff on the cigarette damages the DNA, so the information it contains becomes erroneous. Thus, the cell grows uncontrollably, forming a tumor. Under normal conditions, although a tumor begins to form, the repair system avoids it. However, tobacco also damages it. Because of this, it greatly increases the risk of any type of cancer. Smoking, as we have said, damages the blood vessels, that is why it causes erectile dysfunction. In addition, the genetic material of the sperm is damaged, resulting in infertility. This last fact also increases the risk of having children with genetic defects. Smoking causes difficulty in healing. This is because, in order to carry out the healing, the tissues need certain substances, and these reach the cells more difficulty. The immune system weakens, which carries more risk of infections, cancer, and autoimmune diseases. The arrival of oxygen to the muscles, as we have already mentioned, is deficient. This generates weakness and fatigue. In addition, the organism is less able to form new bone tissue and degrades existing bone tissue more quickly. Thus, the bone tissue is less dense, resulting in an increased risk of fractures and worse healing of the same.